Location: Management School Building (MSB 136). Welcome to KiwiCAM, an annual conference for students of cognition and memory (and other psychological science). The aim is to give students and academics working in the general area of memory and cognition an annual venue in which they can share their current research with an informed, sympathetic, and good-humoured audience. With the exception of keynote addresses, students present the papers and posters (usually with academics as co-authors), and lead the questions. This format gives students an opportunity to develop their chops, and the academics a chance to sit back and relax. Interactions with other researchers can spark innovations and cross-fertilizations that move the research forward in new and exciting ways. It's also good fun to get together with friends and colleagues who share similar interests, chew the cognitive rag a bit, and toss back a beer or two over a good meal. Oh, and KiwiCAM is free. Yes, you read that right: thanks to generous sponsorship from the Psychology departments at Victoria, Otago, Auckland, Waikato, and Massey you pay nothing. In fact, we'll even feed you while the conference is in session. 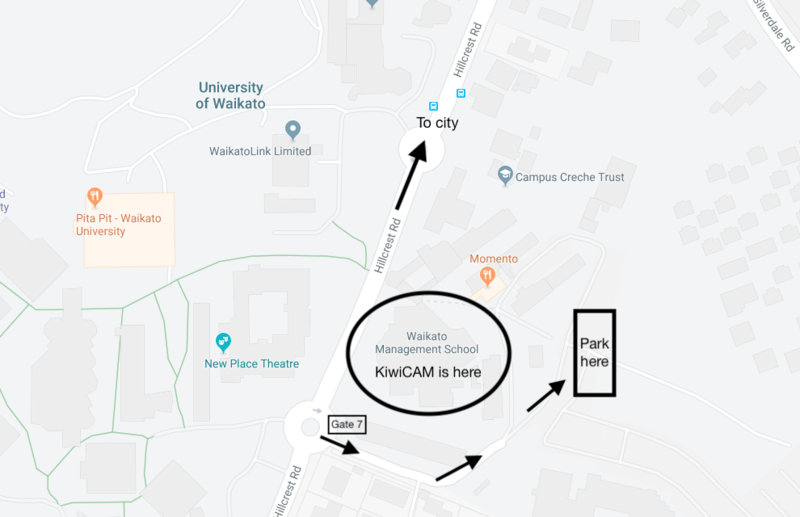 As we get closer to the date, you can download the KiwiCAM program as well as the abstracts for talks and posters. KiwiCAM was established by The Royal Order of the Group of 7±2, including Maryanne Garry (Waikato), Gina Grimshaw (Victoria), Donna Rose Addis (Auckland), and Rachel Zajac (Otago), with Steve Lindsay (UVic) as our patron saint.